Development of a strategic forest resource model and integrated optimiser model. 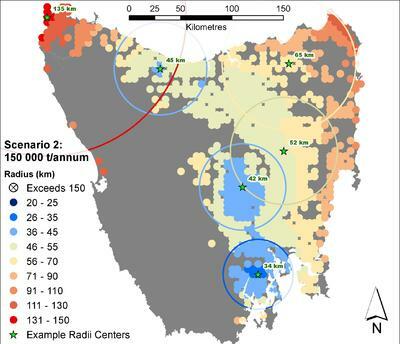 Designed, programmed and implemented a comprehensive GIS model of 20 year wood fibre availability sourced from the 768 000ha private ‘non-industrial’ Tasmanian native and plantation forest resource. 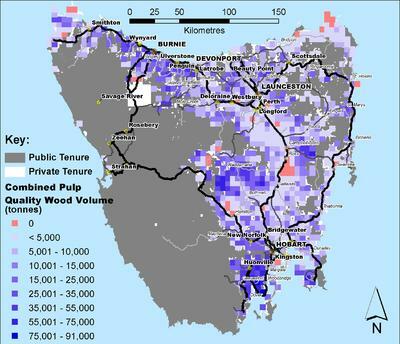 The Strategic Forest GIS Model, and accompanying Optimiser model and report, was prepared on behalf of Private Forests Tasmania to support a study into the feasibility and optimal location of wood processing plants within Tasmania. 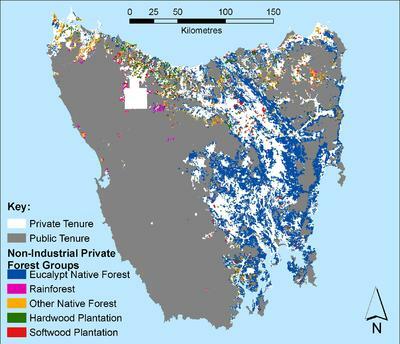 The report is published under the title ‘Private Forest Resource 2012: Where are the best locations for a hypothetical Tasmanian wood processing plant?’. Area discounts to compensate for environmental, legal and landowner restrictions on harvesting. Developed a 20 year growth & harvesting simulation model based on sustainable harvesting & regeneration practices as appropriate to the ecological requirements of each forest type. Comprehensive report outlining modelling inputs, methodology, assumptions, outputs & limitations. Reference: Wilson, J. 2012. 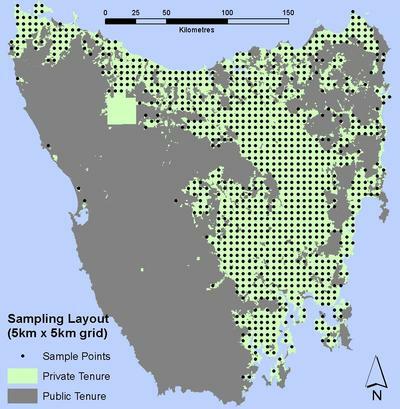 Private forest resourcing model 2012: Where are the best locations for a hypothetical Tasmanian wood processing plant? Private Forests Tasmania, Hobart.